This is quite an impressive font. I really like how it is so modern and neat looking. 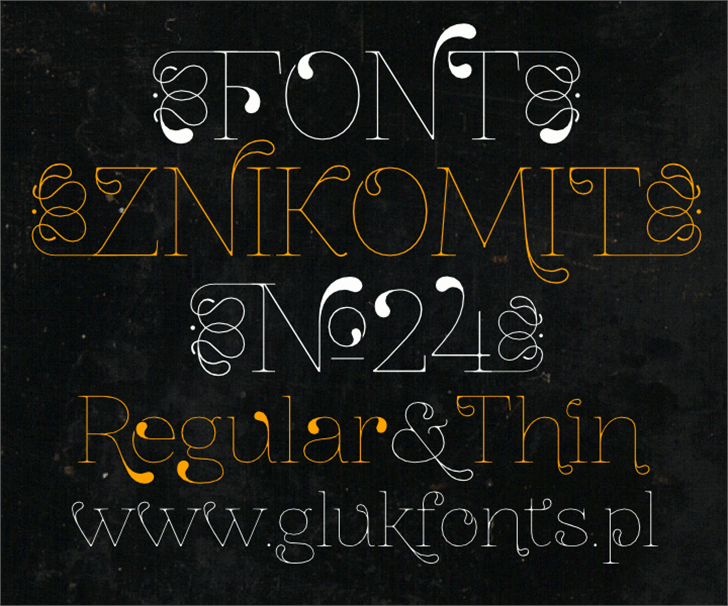 Znikomit?24 now with "Thin weight"
I love the ornate elements to this one. Excellent.